Eric Clapton: Rush - Black vinyl album. Limited to 3,000 copies. The U.S. vinyl debut of the Soundtrack album for the 1991 film of the same name. Written and performed by Eric Clapton, this album contains the original version of “Tears In Heaven.” Exclusive to RSD until June. Eric Clapton: Complete Clapton - 4 Black vinyl LP’s + Bonus 7” single Box Set. Limited to 3,000 copies. Gary Clark Jr with Junkie XL - “Come Together” (short Vers.) b/w “Come Together” (Extended Vers.) 12” Single Picture Disc w/ 32 page Comic Book. Limited to 3,000 copies. Grammy Award-winning Gary Clark Jr., along with Junkie Xl’s chopped ‘n’ channeled modern take on The Beatles classic from the DC/Warner Bros. Film Justice League. 12” picture disc features the “Come Together” single version backed with an extended cut of the song and comes with an exclusive 32 page Justice League comic book and exclusive folded 24”x36” Justice League poster in a clear vinyl sleeve. Disturbed: The Lost Children - Double Black Vinyl album. Limited to 4,000 copies. Never before on vinyl, The Lost Children is a B-sides compilation album by Grammy Award-nominated, multiplatinum hard rock titans Disturbed. Originally released in CD format in 2011, it’s now available on vinyl exclusively for Record Store Day. Dating back to 1999, the album includes 15 B-side tracks from the band’s extensive catalog, including singles “Hell” and “3,” among others. Duran Duran: Budokan – 12” Black vinyl album. Limited to 3,000 copies. Budokan features the final show during Duran Duran’s Paper Gods world tour. The album was recorded live at Nippon Budokan, Tokyo on September 20, 2017. The Flaming Lips: – “Pouring Beer In Your Ear (The Beer Song)” b/w “The Story Of Yum Yum and Dragon”. Colored Vinyl 7” Single in clear sleeve. Limited to 5,000 copies. Dogfish Head Brewery announce the release of a first-of-its-kind beer and vinyl collaboration with American rock icons, The Flaming Lips exclusively for RSD. This colored 45 features two original songs inspired by the new Dogfish beer, Dragons & YumYums, a lip-smackingly tart pale ale, whose lyrics pay tribute to the colorful array of off-centered ingredients in the beer. Coyne used the dragonfruit and yumberry elements and transformed them into the song’s lyrics. Dogfish and The Flaming Lips will also unleash 100 translucent 7” vinyl singles filled with the actual Dragons & YumYums beer just before Record Store Day. When Fleet Foxes visited Reykjavik last fall for the Iceland Airwaves festival, they recorded this stunning version of “Crack-Up”, the title track from last year’s critically adored album, the third of their storied career and first for Nonesuch Records. Adding to the majesty of the song is Graduale Nobili, the 24 piece women’s choir known for their work with Björk. You can watch that collaboration here, the audio of which makes up the A-side of this very limited edition single. The B-side is a live take on “In The Morning”, a gorgeous song originally written by Barry Gibb. It was recorded at last summer’s Montreux Jazz Festival. Linkin Park: One More Light Live - 12” Colored vinyl, individually numbered. Limited to 4,000 copies. The live offering from Linkin Park's extraordinary One More Light World Tour, was recorded in the early summer of 2017. It would become the band's final tour with beloved lead vocalist, Chester Bennington, who poured his heart and soul into each performance every night. For those who couldn't attend, these sixteen live tracks give a glimpse into how truly magical this tour was. Linkin Park's latest studio album, One More Light debuted #1 on Billboard's Top 200. Mastodon: Emperor Of Sand - 12” Picture Disc album. Limited to 4,000 copies. Grammy Award-wining Mastodon presents their current internationally acclaimed album pressed on 12” picture disc for the first time. Rolling Stone called Emperor Of Sand, “Their most ambitious album in years - Mastodon are one of the most beloved heavy bands on earth.” Mastodon will co-headline an extensive U.S. tour with Primus May 6 through July 7. The Regrettes and The Distillers: “Dismantle Me” - 7” colored vinyl single - “Side By Side” Series. Limited to 3,000 copies. 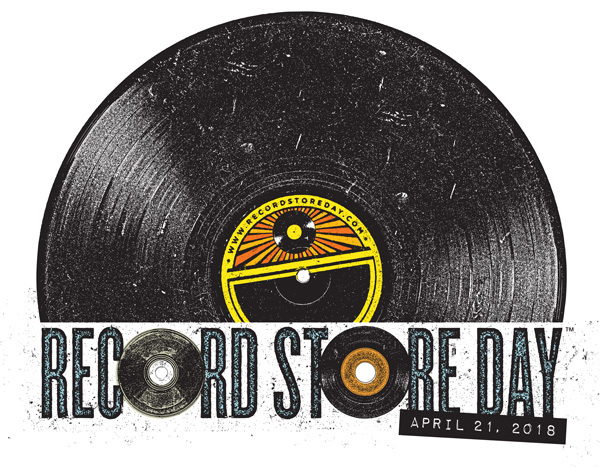 The Regrettes have teamed up with fellow LA-based punk vets, The Distillers, for RSD 2018. This exclusive hot pink and highlighter yellow 7” side by side includes The Regrettes’ take on The Distiller’s unapologetic, guitar-driven track, “Dismantle Me,” along with the vinyl debut of the original from The Distillers’ final studio album, Coral Fang. “Side By Side” is a Warner Bros. Records exclusive series of extremely limited-edition 7” vinyl singles featuring iconic WB artists covering other historic and personally influential iconic WB family artists. Adam Sandler: They're All Gonna Laugh At You – Black Vinyl Double Album. Limited to 3,000 copies. Now available on vinyl for the first time, Adam Sandler’s incredible first album was released in 1993, during his tenure at Saturday Night Live. The 2-LP set includes the “Thanksgiving Song” and “Lunchlady Land.” They're All Gonna Laugh at You! was nominated for Best Comedy Album at the 37th Annual Grammy Awards and has been certified 2x platinum, having sold over two million copies. Neil Young Roxy – Tonight’s The Night Live - Three-sided 2-LP set. Limited to 9,000 copies. Recorded live at the grand opening of the famed ROXY on the Sunset Strip in W. Hollywood CA, Summer 1973. This album showcases first public performance of many of the songs that would make up Young’s seminal album Tonight’s The Night, which would not be released until June 1975. The Record Store Day Limited Edition contains an exclusive photo of Neil and the Santa Monica Flyers on stage at the ROXY. ROXY features Neil Young with The Santa Monica Flyers: Neil Young: Vocals, guitars, piano, harmonica, Ben Keith: Pedal steel guitar, slide guitar, vocals, Nils Lofgren: Piano, vocals, guitar, Billy Talbot: Bass and Ralph Molina: Drums, vocals. The standard vinyl edition (without exclusive print) CD and digital editions will follow on Tuesday, April 24th.